InterServer has been providing high speed web hosting services for the last 15 years. They are known to offer exceptional services at low prices. Their fast setup process and user friendly control panel has made them a popular choice for web hosting and other online operations. Even if you happen to outgrow your shared hosting account, you need not look elsewhere since InterServer also offers VPS and dedicated server hosting. They have their own data centers and also offer server collocation services. They serve customers of all sizes – an entity as small as an individual freelancer to something as big as a Fortune 500 company. InterServer was founded by its current CEO Michael Lavrik and CTO John Quaglieri in the year 1999. The company started out its operations as resellers of shared hosting and slowly grew into a full fledged web hosting company by adding more resources and expanding its list of offerings over the years. In 2003, the company moved its office from Clifton, New Jersey to Secaucus, New Jersey, where the current headquarters of the company are located. In 2006, they built their own data center in Secaucus, New Jersey. Today, InterServer offers a wide range of products including VoIP, remote backups and security solutions, most of which initially started as in house projects for their own use. They also offer many custom solutions which are not advertized directly on the company website. InterServer is managed by a team of seasoned professionals most of whom have been working with the company ever since its inception. InterServer has one single, comprehensive shared hosting plan that starts at $4.95 per month and goes down to as low as $3.96 per month if you prepay for 3 years. This is an unlimited plan that comes with unlimited amount of disk space and uncapped monthly bandwidth. It also allows you to host any number of domains and websites you wish to. Hosting for Non Profits: InterServer offers free shared hosting services to charitable non-profit organizations. Eligibility for this is determined on the basis of 501(c)(3)determination letter issued by the IRS. Domain name however is not included in this free offer. Cloud Based Hosting: The hosting that you get from InterServer is based on cloud technology. Thus the files, databases and other web content that you upload to your server will not be stored on a single physical machine but across the network consisting of multiple servers. This on one hand will give you better protection and security while on the other hand it will give a better performance to your website since the content will be served from the most suitable server depending upon the traffic load, proximity and several other factors. Blogging software such as WordPress, b2evolution, Serendipity, Life Type, Nucleus, etc. Micro blogging applications like Sharetronix, Storytlr, StatusNet, Page Cookery, etc. Content Management Systems (CMS) like Joomla, Drupal, MODx, CMS Made Simple, Impress CMS, Impress Pages, Concrete5, etc. Forum software like miniBB, Phorum, FluxBB, bbPress, phpBB, etc. Image galleries like Piwigo, ZenPhoto, Gallery, php Album, pixel post, Shutter, etc. Wiki software like Media Wiki, Doku Wiki, Wikka Wiki, PmWiki, etc. Social networking scripts like Elgg, Dolphin, jcow, People Pods, etc. E-commerce scripts like Magento, Open Cart, Presta Shop, osCommerce, Zen Cart, etc. This is just a sample list and is by no means an exhaustive one. Apart from more scripts in the given categories, there are several other categories too: Ad management, calendars, gaming, mails, polls, surveys, project management, ERP, guest books, customer support, frameworks, educational, DB Tools, music, video, RSS, file management, and more. Free Website Migration: Transferring your website from one web host to another is not a big task but sometimes it can get complicated enough to keep you stuck in the process, especially if you haven’t done it before. Keeping this in mind, InterServer offers free site migration services to customers coming from another web host. You just need to contact their customer support after buying your hosting account and the migration will be done within 24 to 48 hours. The services include assistance in changing domain name servers and migration of all your website files, emails and databases from old cPanel account to new cPanel account. You will be kept in the loop all through the migration process. Feature Rich Email Hosting: With each hosting plan, you can have unlimited number of email addresses, email forwarders, mailing lists and auto responders. They have an SMTP server and also support email for add on domain. You can access your email through a web based interface right from your web hosting control panel. Advanced access options through iPhone, Android and Black Berry are also available. 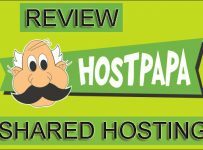 The world popular cPanel that InterServer shared hosting account comes with makes it a cakewalk to manage your hosting account. Be it emails, files, databases, software or any other tools or applications, you can access them all from your control panel organized into different groups of items. For managing your account, customer profile, billing details, etc. you need to login to a separate portal called My InterServer portal. InterServer has their own data centers and they build their own servers from the scratch. They also have a nationwide fiber network. Their network is maintained by highly experienced engineers who hold certification from top class vendors like Cisco, Nortel, Juniper, etc. World Class Data Centers: Both InterServer data centers in Secaucus are 6,500 sq ft big and housed in 8,000 sq ft facility. Each of them has 4 HVAC units with a total capacity of 80 tons. Entry into the data center building is restricted and the data center itself is under close surveillance round the clock. They have high speed Ethernet connections (10 Gbps) and multiple backbone providers of Tier 1 category. Intelligent Routing: InterServer uses high quality routing equipment from reputed companies like Riverstone, Cisco and Extreme Networks. This combined with the BGPv4 intelligent routing protocol gives the fastest routing with maximum throughput. Your website traffic is automatically routed to the nearest backbone provider giving you the best possible speed. Fully Redundant Hosting: InterServer hosting is fully redundant. Be it power supply, routers, connections or any other essential part, everything is kept in spare and the system automatically switches over to standby in case of unexpected failure. This substantially cuts down the network downtime. Unmatched Scalability: InterServer offers high scalability through private and public peering. They have multiple IP transit providers like High Winds, Cogent, Abovenet and XO. The transits are routed through 1 Gbps Ethernet (either single or double) giving high data capacity. So, you don’t have to worry about those certain spikes in web traffic. If you ever happen to run into a problem or need any help regarding your hosting, you always have their technical support team by your side. They offer 24/7 support through phone, chat and the support ticket system. The support guys are courteous and helpful and often the president himself answers the tech calls and responds to support tickets. Their online knowledge base is quite extensive, well organized and easy to use. You can also find various service related alerts and updates in their community forums and news section. InterServer places a premium on customer satisfaction. They understand that their success depends upon your success and hence aim to provide all the necessary tools and resources for your business. They are always looking out for ways to improve the quality and reliability of their services and diversify their offerings. 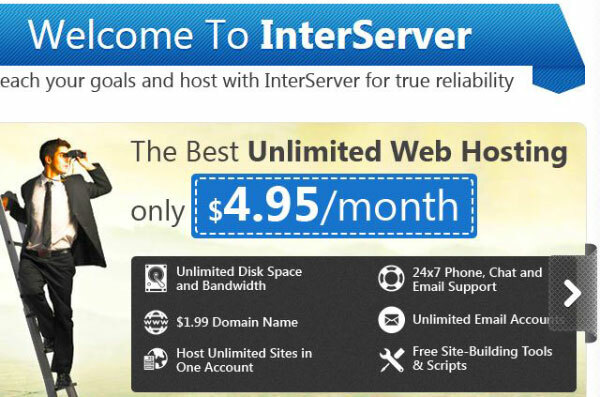 Shared hosting from InterServer comes with 30 day money back guarantee. They also offer 100% power guarantee for their data centers and 99.5% uptime guarantee on the network. InterServer is a great hosting company and their hosting plans are comprehensive enough to get you online. 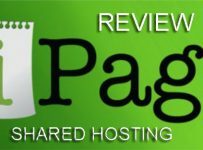 They started out with shared hosting and have been offering it for a very long time now. But over the years as they diversified into other levels of hosting, there has been a shift in their focus. Their core focus areas now are dedicated hosting and co-location services. Though this has not yet shown any visible impact on their shared hosting services but still it’s something you should be aware of. Though InterServer is not that popular a name in the shared hosting market but that’s not because their shared hosting is lacking in any aspect; it’s just that they choose to promote it less. Otherwise, it’s a great value hosting you can ever get at such a low price.